Throughout the history of warfare there have been many instances of opposing armies tacitly agreeing to temporarily stop fighting. During the First World War, despite the dominant image of the Western Front as a battle zone of continuous bloody slaughter, at various times and in different places opposing forces tried to reduce aggressive actions. A soldier's experience of the conflict could vary depending on where he was. In an active sector, both sides would engage in aggressive raiding and be exposed to more continuous assaults from artillery, machine guns and snipers. In a 'quiet sector' there were fewer raids, less exposure to fire and soldiers operated under a 'live and let live' mentality. Note a Maxim machine gun ready for use over their heads. The 'live and let live' system could have had a variety of origins. Shared cultural and religious traditions lay behind the Christmas Truce in 1914 and they also motivated (as did concerns for health) ceasefires to collect and bury the dead. Shared discomfort prompted truces to allow time for reconstruction of dugouts and trenches following heavy rains and flooding. The principal factor underpinning 'live and let live' was the willingness of opposing troops to support an attitude of reduced hostility and to conceal such 'illegality' from military authority. Evidence suggests that elite fighting units were less keen on this approach and that 'live and let live' was less common in the more permanently 'active' parts of the front. 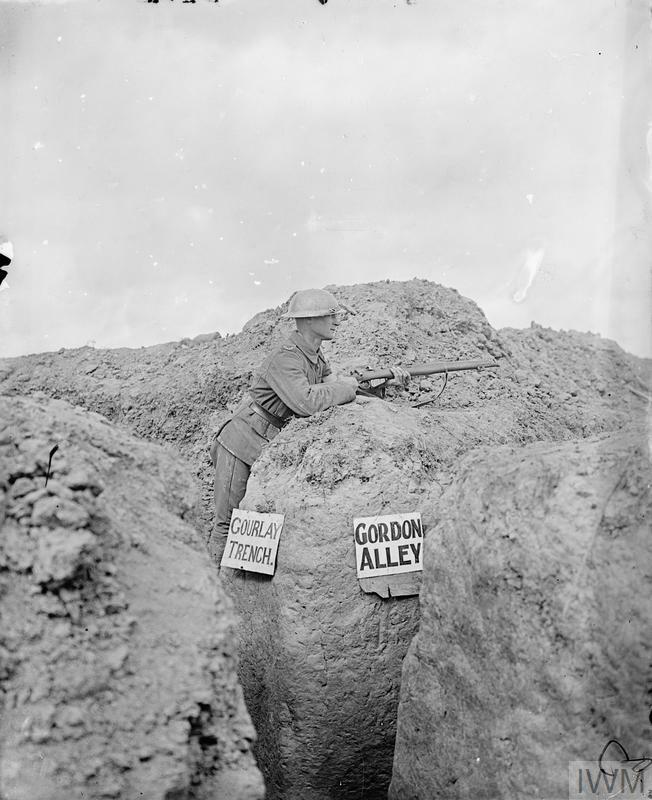 The image of a soldier in a muddy trench is what many people visualise when they think of the First World War. 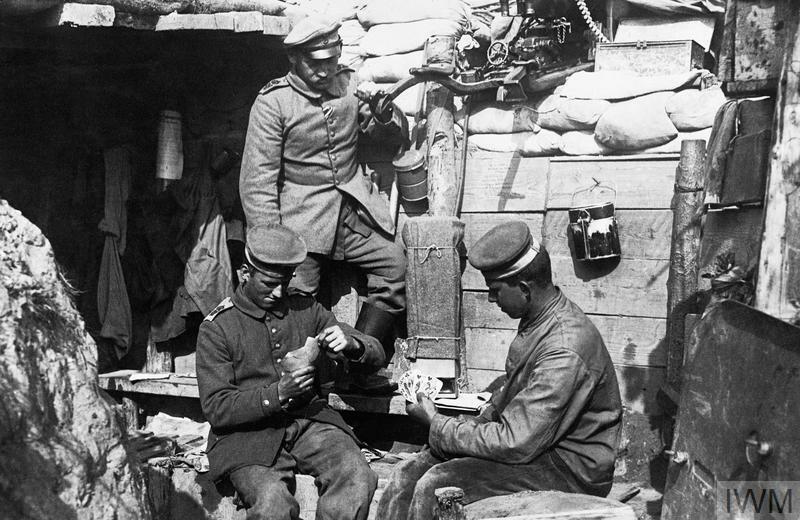 However, most soldiers would only spend an average of four days at a time in a front line trench. Their daily routine when in the front line varied according to where they were.